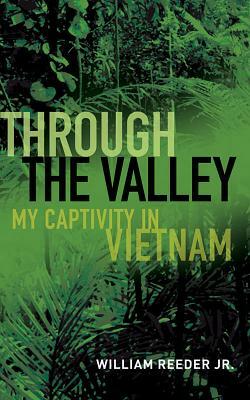 Through the Valley: My Captivity in Vietnam (Hardcover) | Eagle Harbor Book Co. Through the Valley is the captivating memoir of the last U.S. Army soldier taken prisoner during the Vietnam War. A narrative of courage, hope, and survival, Through the Valley is more than just a war story. It also portrays the thrill and horror of combat, the fear and anxiety of captivity, and the stories of friendships forged and friends lost. In 1971 William Reeder was a senior captain on his second tour in Vietnam. He had flown armed, fixed-wing OV-1 Mohawks on secret missions deep into enemy territory in Laos, Cambodia, and North Vietnam on his first tour. He returned as a helicopter pilot eager to experience a whole new perspective as a Cobra gunship pilot. Believing that Nixon�s Vietnamization would soon end the war, Reeder was anxious to see combat action. To him, it appeared that the Americans had prevailed, beaten the Viet Cong, and were passing everything over to the South Vietnamese Army so that Americans could leave. Less than a year later, while providing support to forces at the besieged base of Ben Het, Reeder�s chopper went down in a flaming corkscrew. Though Reeder survived the crash, he was captured after evading the enemy for three days. He was held for weeks in jungle cages before enduring a grueling forced march on the Ho Chi Minh Trail, costing the lives of seven of his group of twenty-seven POWs. Imprisoned in the notorious prisons of Hanoi, Reeder�s tenacity in the face of unimaginable hardship is not only a captivating story, but serves as an inspiration to all. In Through the Valley William Reeder shares the torment and pain of his ordeal, but does so in the light of the hope that he never lost. His memoir reinforces the themes of courage and sacrifice, undying faith, strength of family, love of country, loyalty among comrades, and a realization of how precious is the freedom all too often taken for granted. Sure to resonate with those serving in the armed forces who continue to face the demands of combat, Through the Valley will also appeal especially to readers looking for a powerful, riveting story.